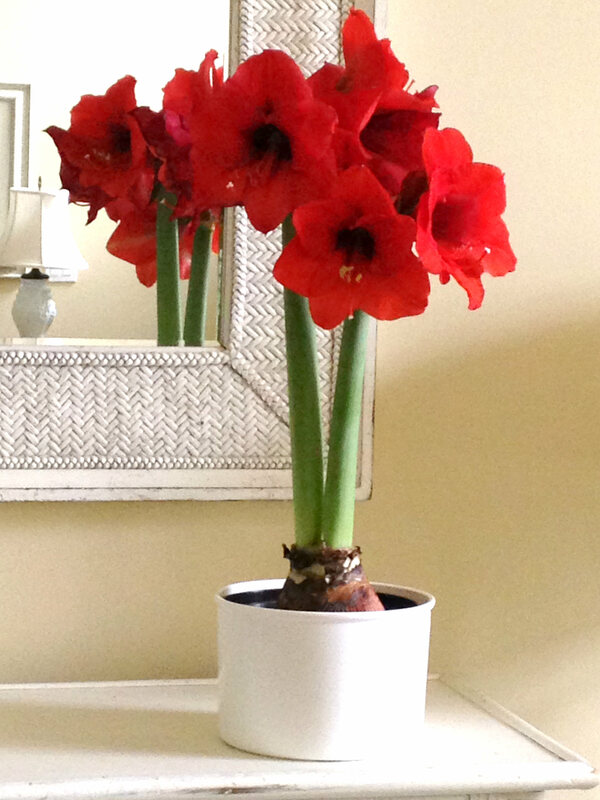 In nature, Amaryllis grow in dry areas that have cool weather most of the year. Plants that live in dry areas typically grow in a rocky, sandy mix rather than soil. The LECA pebbles in our hydroponic system are perfect for growing these types of plants because LECA pebbles drain quickly and promote maximum air flow to the roots. 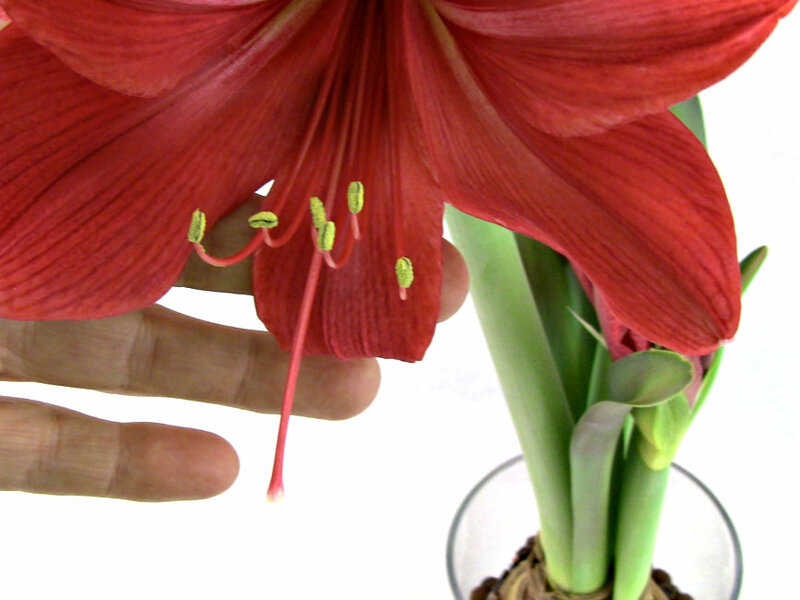 Amaryllis love our hydroponic system - you will too! 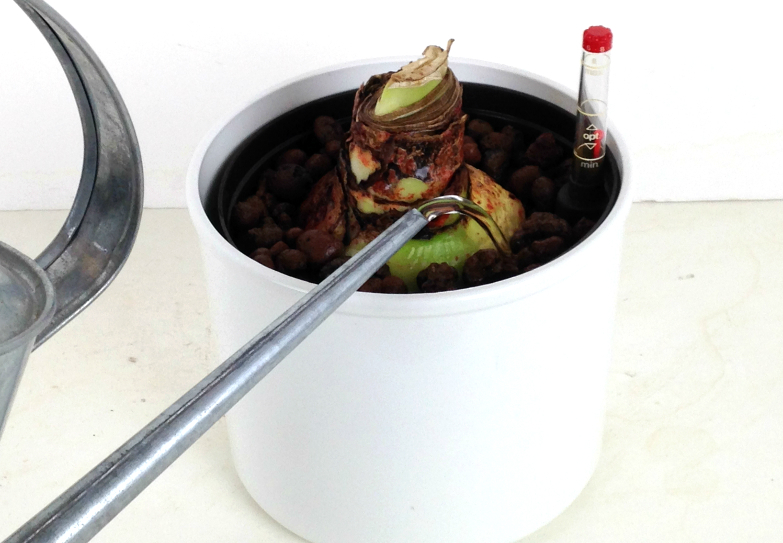 See how to plant Amaryllis in our Hydroponic System here. 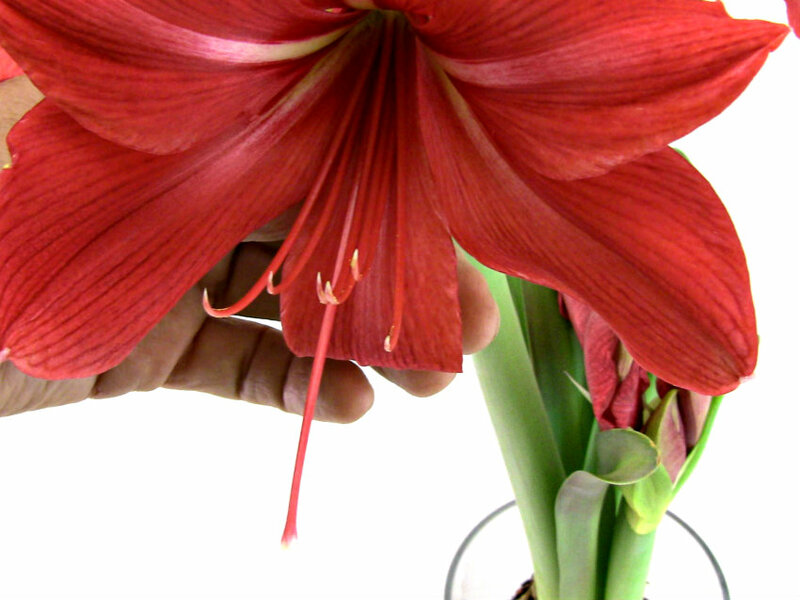 Growing Amaryllis in our hydroponic system is cleaner and easier than growing in soil. LECA pebbles replace soil. 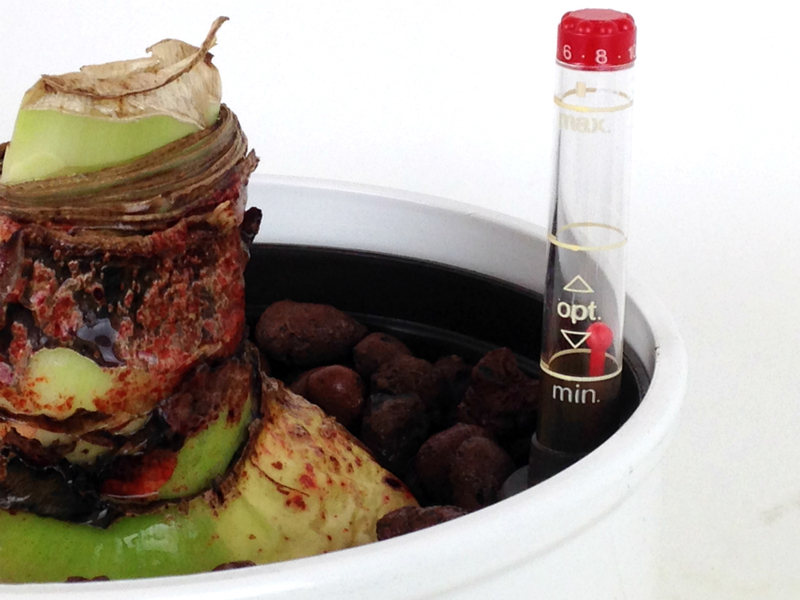 It drains quickly and don't pack down, promoting maximum air flow to the roots. 1. Light - After planting, position plant in a bright, sunny window. Don't worry, you can't over do it. 2. Watering - Water to only 1/4 on gauge - no nutrients necessary. 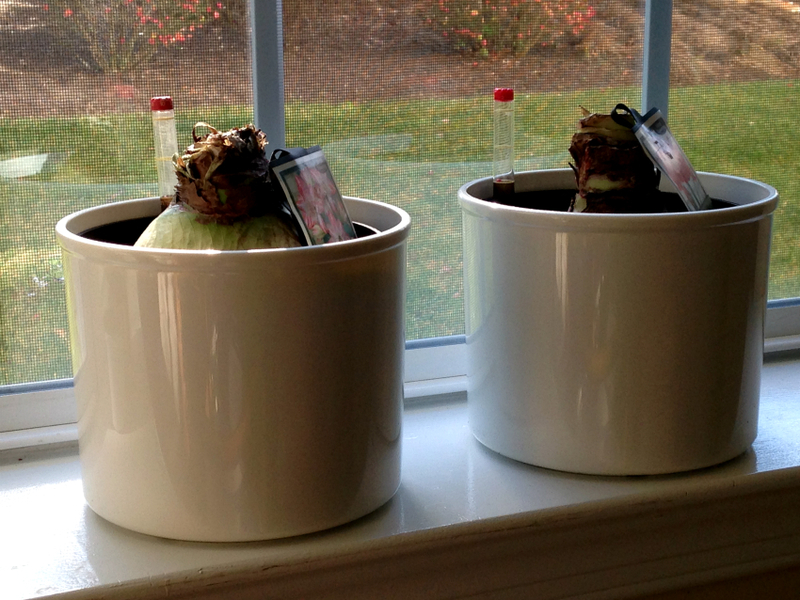 The bulb has stored up everything it needs to grow. 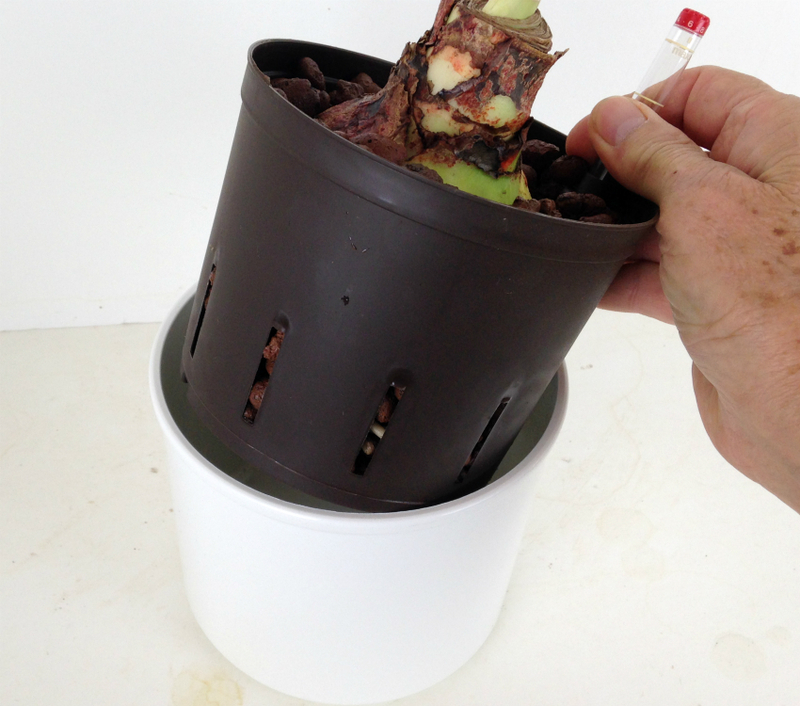 Amaryllis roots need air so it's important to wait for the system to dry out completely between waterings. That can be up to 2 weeks (or more) between waterings. 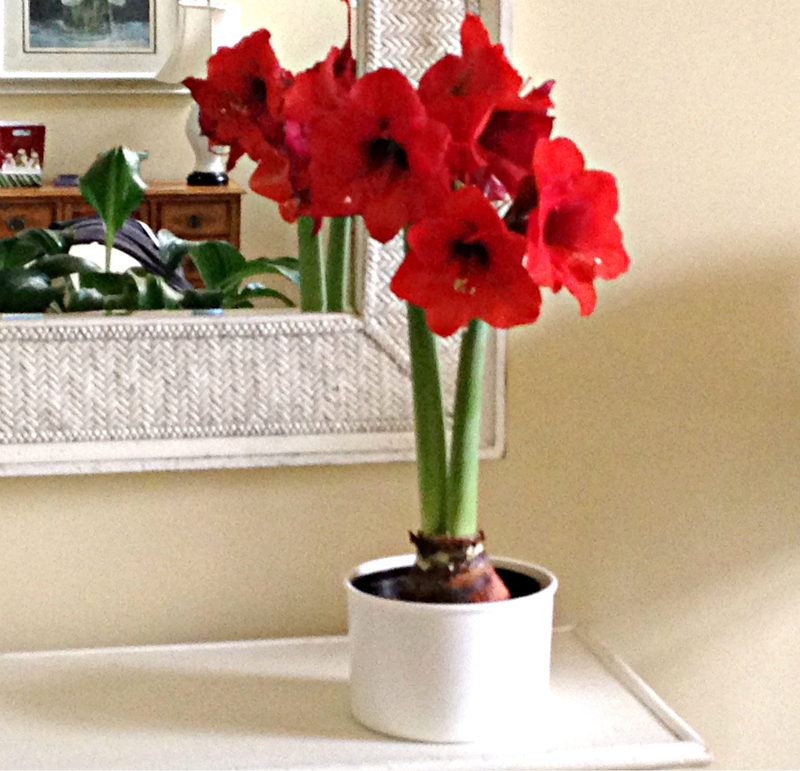 Tip: Over watering is the #1 killer of Amaryllis. 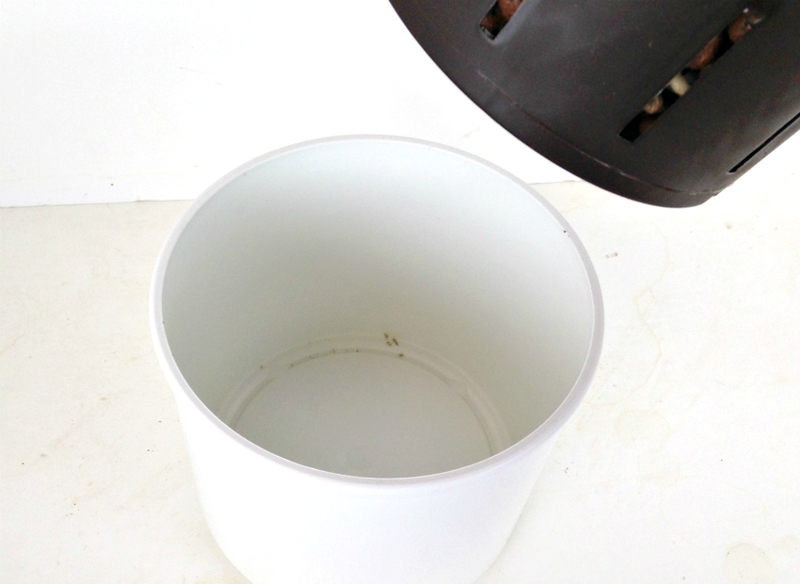 A good way to establish a successful watering routine is: the first couple of waterings use the water gauge as a handle and lift inner pot to make sure bottom is dry before rewatering. This will be several days after the water gauge reads empty. 3. After system dries out completely, rewater to 1/4 on gauge. Could be 2 weeks between waterings. 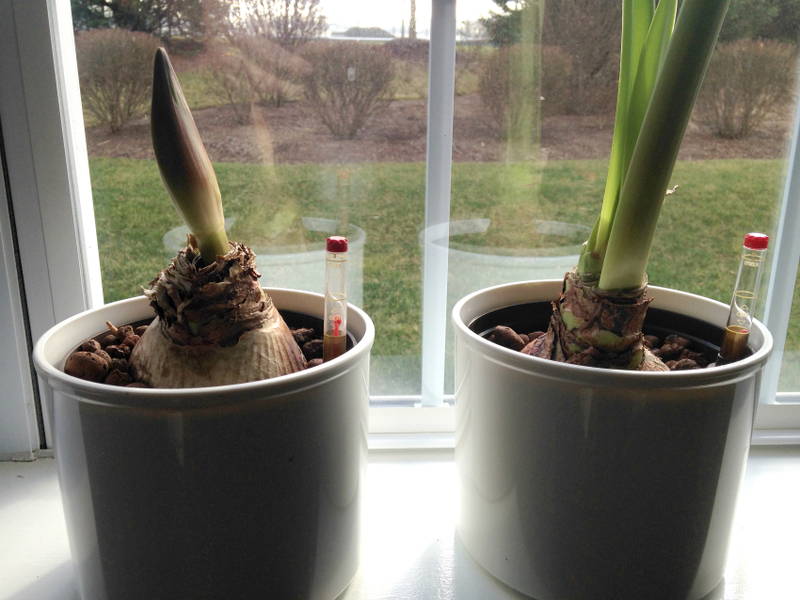 Note: Some bulbs grow more quickly than others. Don't try to force the slow growers by giving them more water. These plants grow by their own schedule - don't try changing it. 4. 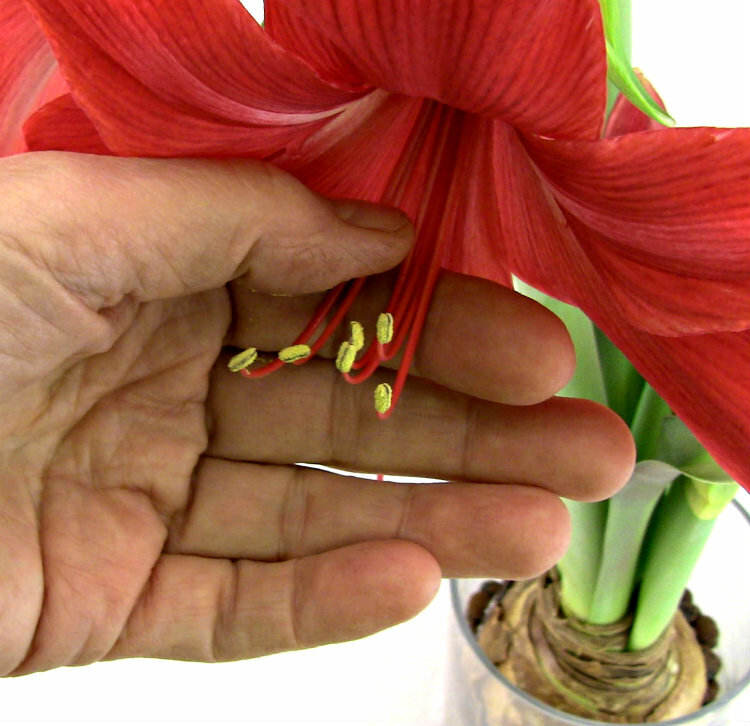 Flower stems will bend toward the light so rotate plants frequenty. 5. When flower buds begin to open, move plant away from sun and display wherever it looks best. 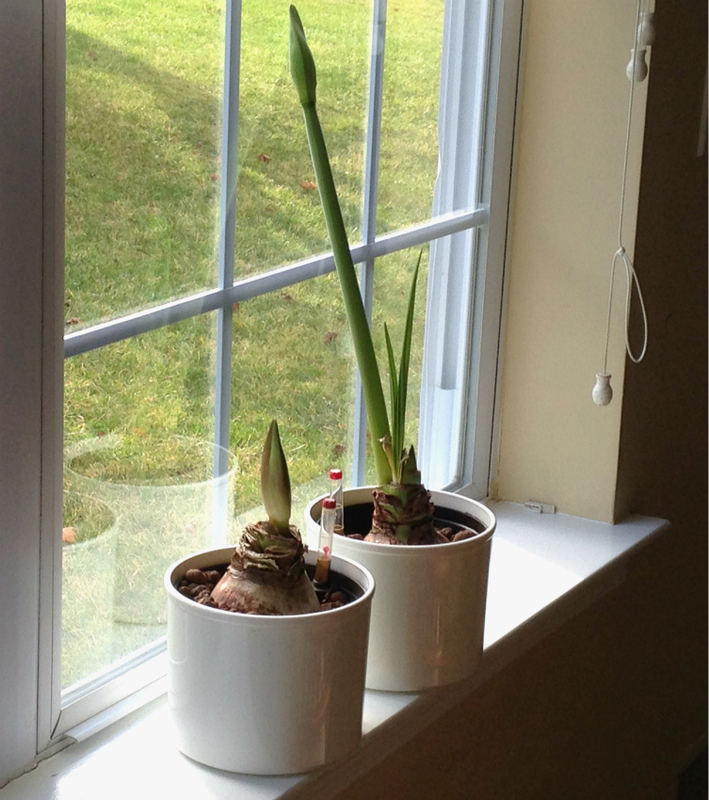 The bulb has stored up all the energy it needs to complete the blooming process and it no longer needs direct sunlight. Cool temperatures away from sun also prolongs the life of the flowers. 6. As flowers fade, cut them away. 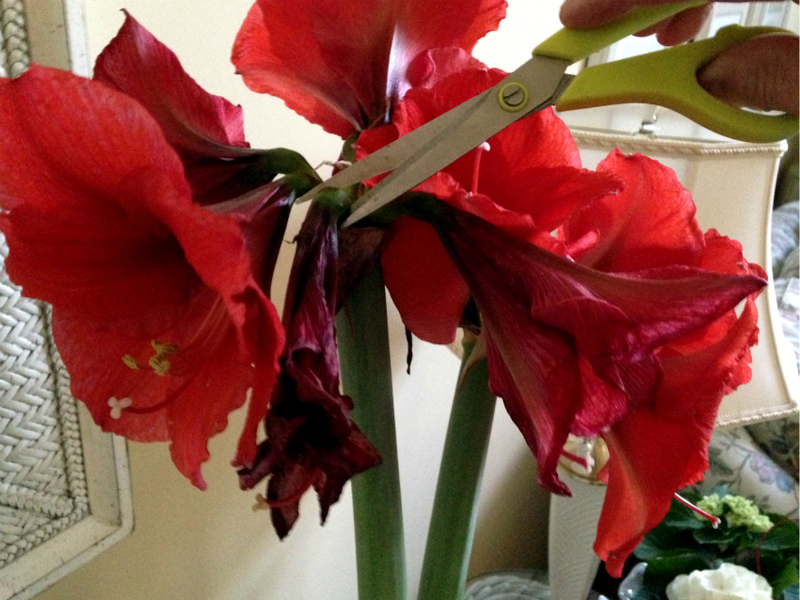 Cutting the flower all the way back to the stem prevents plant from producing seeds - which saps energy from plant. Tip: Removing pollen from the flowers prolongs flower life. Flower last longer when pollen is removed. Ready to get started? Click here for a link to our store!